OSIR is a business consulting and software development company founded in 2003. OSIR’s goal is to deliver high quality consulting and software services for Oracle Cloud and on premise ERP (E-Business Suite) applications in a variety of industries. OSIR consultants represent cross-section of experienced, highly motivated and skilled asset management and enterprise financials experts. Customers are partners in development and long-term success. 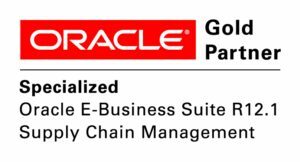 As proof of this high customer satisfaction and goal-oriented approach to business, Oracle has awarded us Oracle Applications Partner of the Year 2007 award as well as Oracle Gold partner status with a specialization in Supply Chain Management.